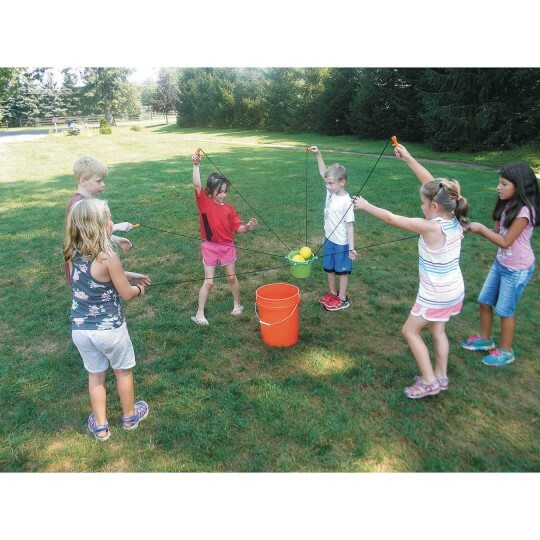 A great challenge for imaginations! 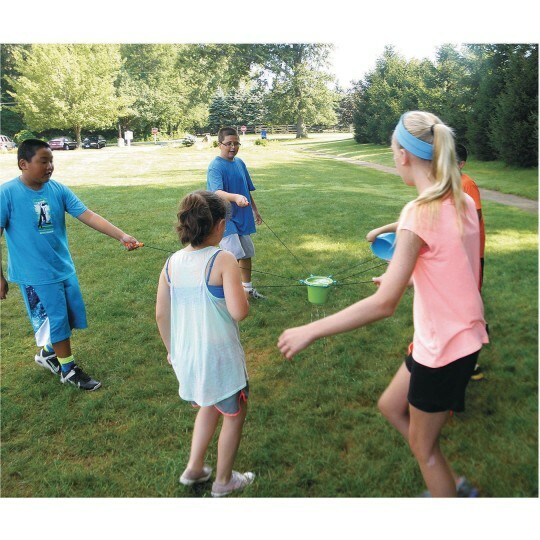 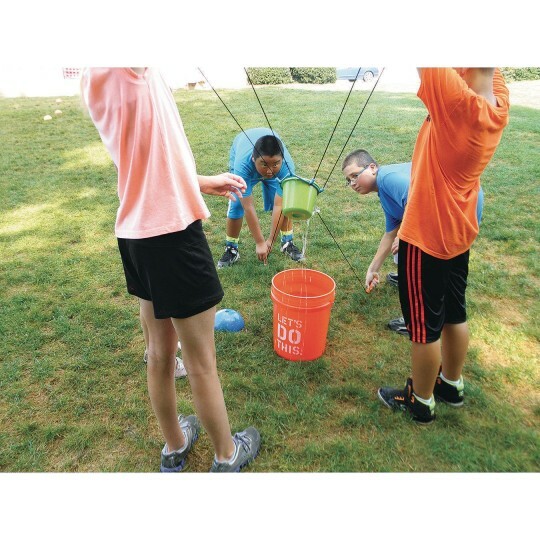 Your group can imagine they’re saving the world from severe drought or food shortages, or just have fun playing a catch and race challenge with this exciting team building bucket challenge pack! 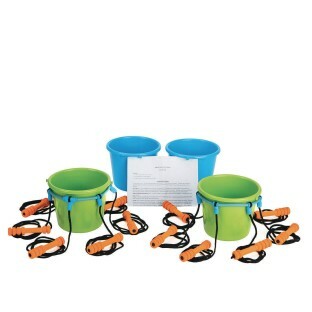 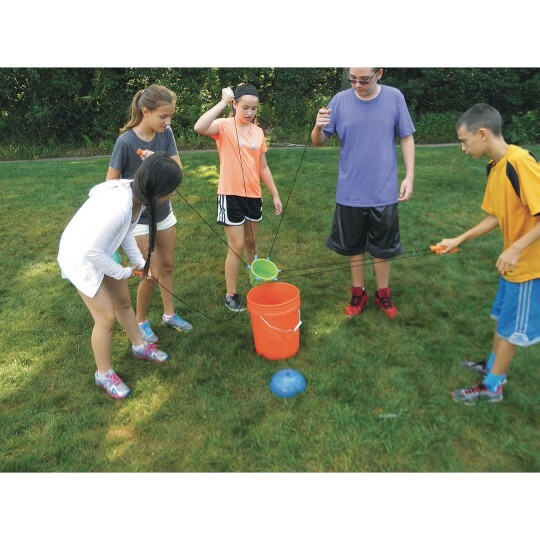 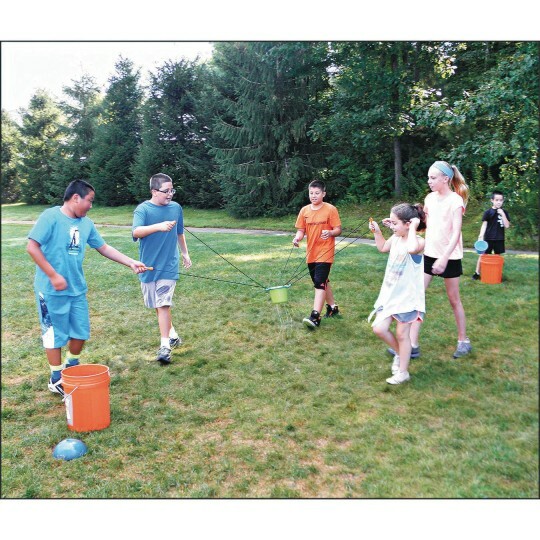 Includes 2 rubber rings with 6 ropes with handles to carry the buckets, 2 blue solid bottom buckets, 2 green buckets with holes in the bottom, plus instructions for 4 different team building challenges that can accommodate 8 to 24 players.